G'day from Australia! I am a High School Teacher Librarian by day, but a puppet maker of 15 years experience the rest of the time. 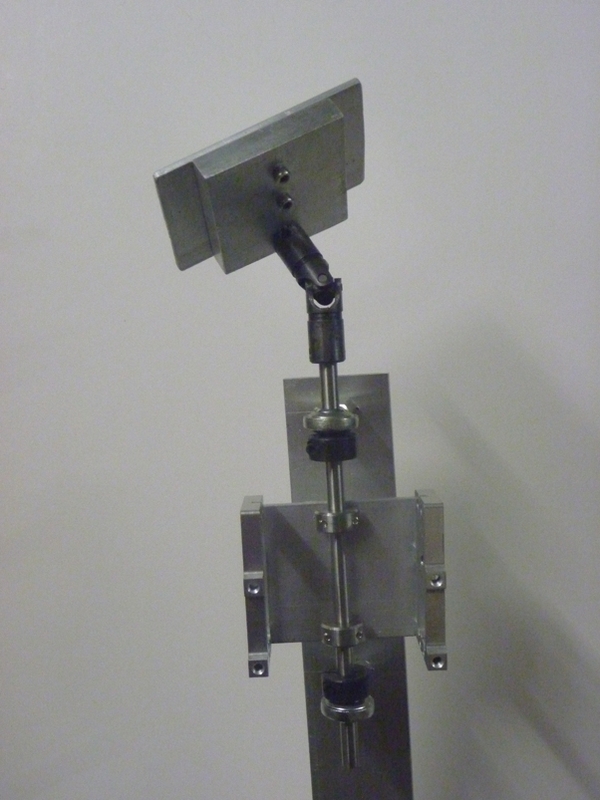 I have always been fascinated by mechanisms that create the illusion of life, and I am looking for a new challenge and experience in puppet building, so here I am taking a class that could imitate the movement not only of a neck, but a puppeteer's wrist which is the neck mechanism of a foam puppet. The journey begins with finding all the parts on the parts list. Being in Australia, McMaster Carr is not an option because they refuse to ship to Australia using both direct shipping and a shipping service. So, for me, this journey began with a sometimes frustrating treasure hunt for the parts. To make life easier for other Australians or international students watching the class on rebroadcast or on-demand, I have attached a PDF document of where I got every single item on the list. 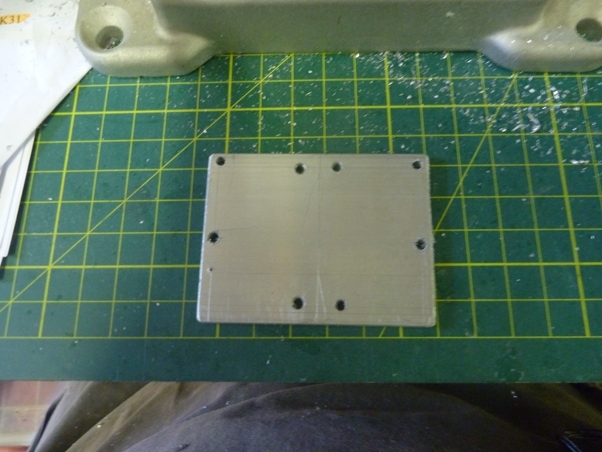 During class, I was able to hand cut the servo plate and mark up where the holes were going to be drilled on the plate and the spine backing plate. 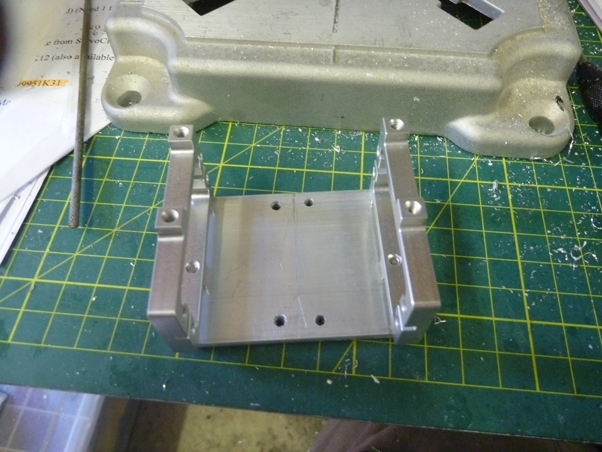 I was also able to make the 'spud' from the aluminium rod for the top plate. 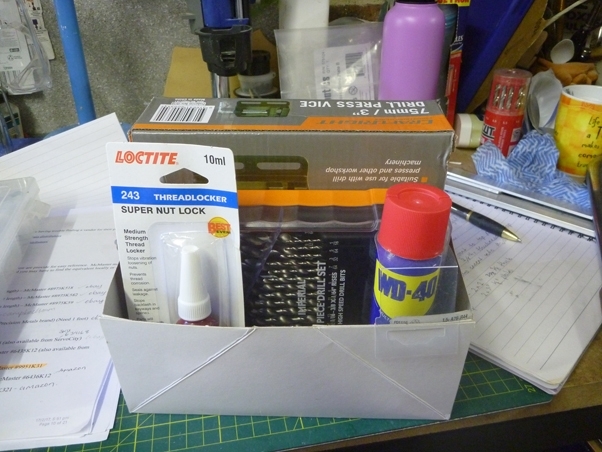 Immediately after class, I went to the hardware store and bought the last few things to make the build easier for me- especially a set of imperial drill bits! 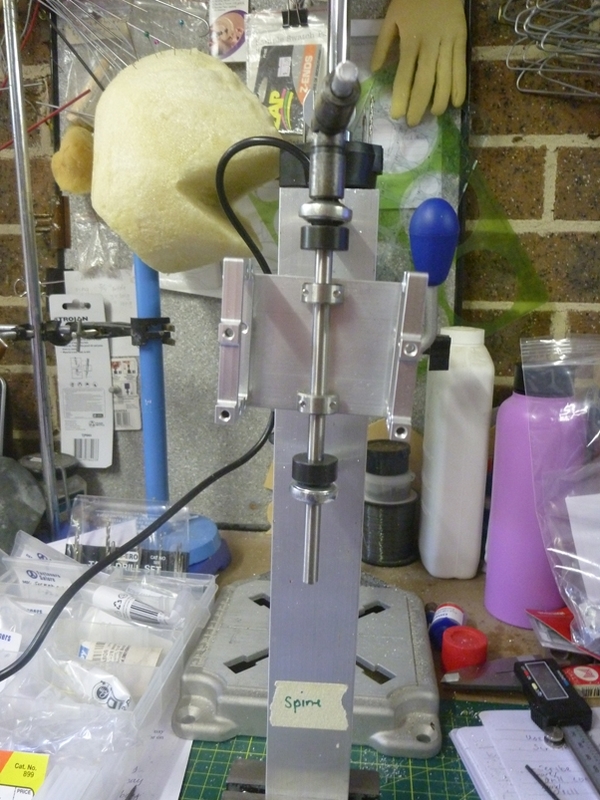 I used my Dremel drill press stand to drill through the aluminum parts and I assembled everything up until the pinning of the universal joint into the shaft and spud because the dremel doesn't have enough strength to get through. 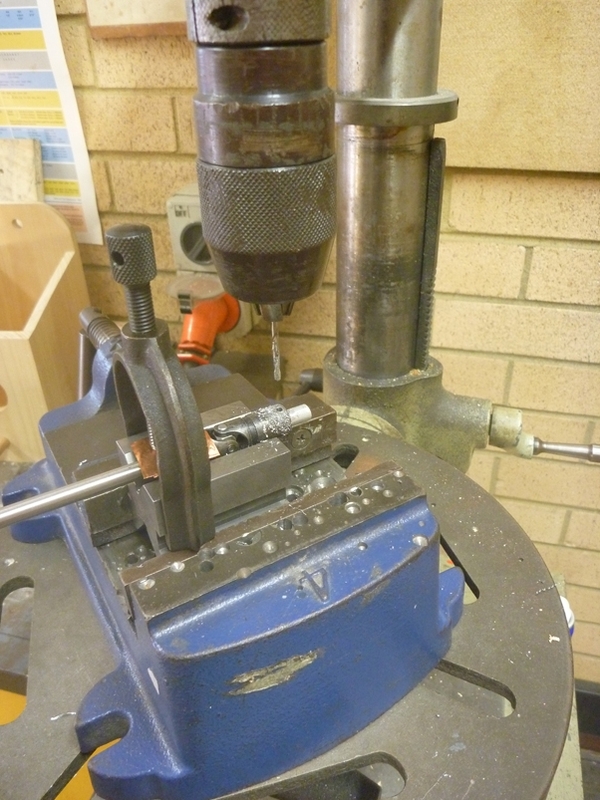 I am hoping to use the drill press in the metal shop of the high school I work at to drill through the top plate and the universal joint. Awesome, what you have in the video looks great. So, during the week, construction has continued. 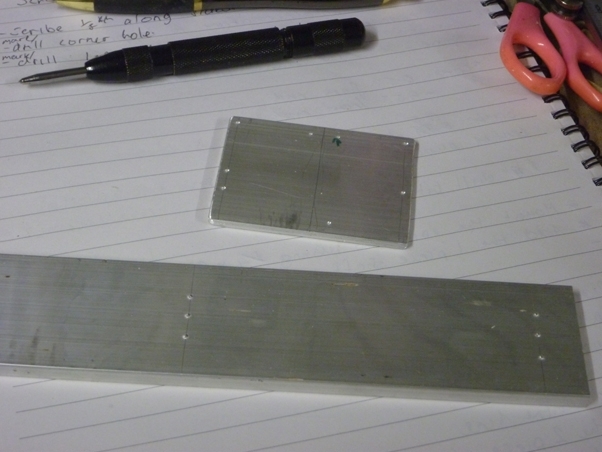 I built the top plate by taping the thin plate and thick plate together to hold them in orientation while I drilled through. 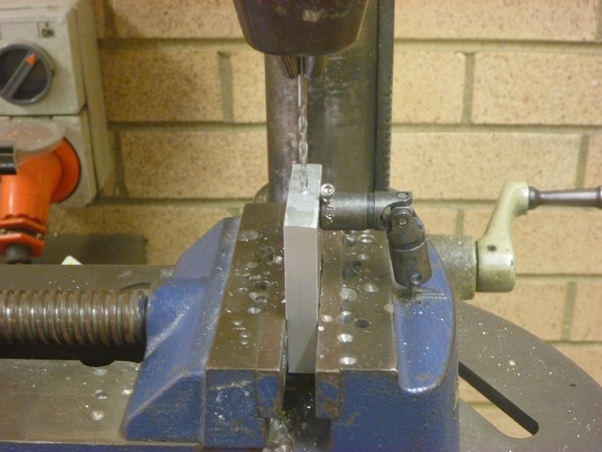 I was able to negotiate time in the school metal workshop to complete the really challenging drilling through the steel components and the all-important 0.25" hole for the shaft in the head plate. 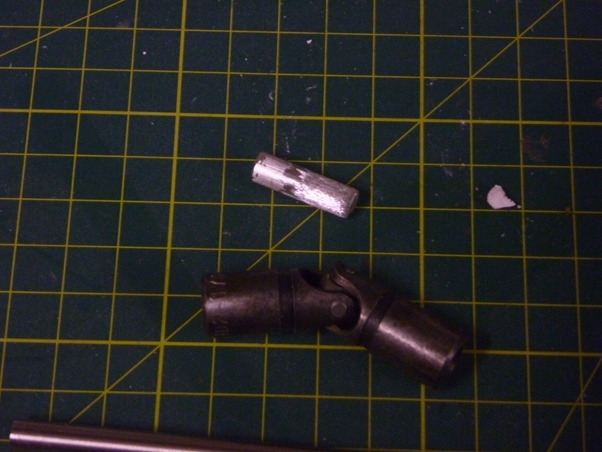 I did make a mistake when drilling and assembling the universal joint to the head plate. 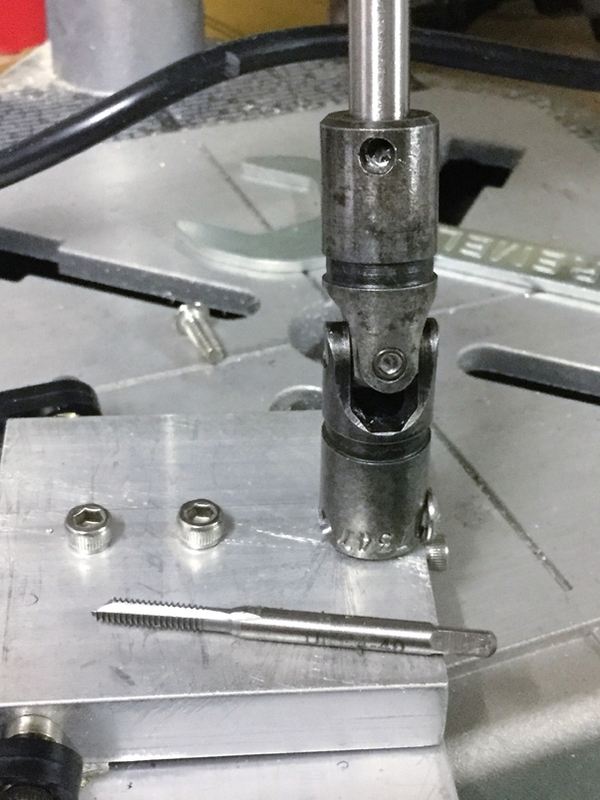 The joint was not facing the right way, and because I found the steel very difficult to work through, I fixed the orientation by making a new stub and tapping a 6-32 hole as I had spare 6-32 screws. I don't have a tap handle at this time, so I am finding it impossible to tap the stainless steel shaft. I am not sure how to solve this problem as it is the last piece of this week's homework to complete. I am hoping a visit to the hobby store before class might help. Here is where I am up to before I solve the current problem. I had no luck at the hobby store, so I have had to order my new screw and tap sets online, along with a proper tap handle. So tapping the steel shaft will have to wait. 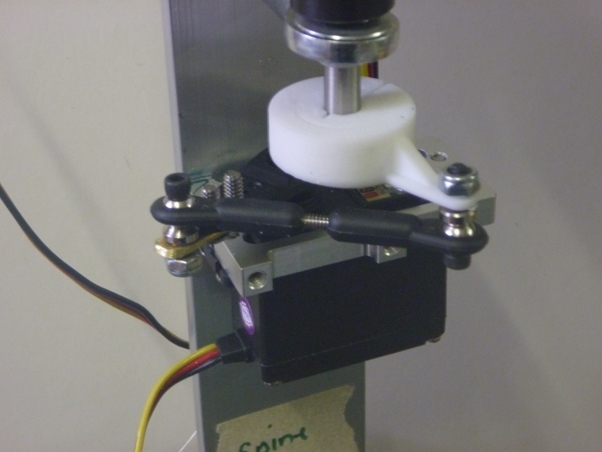 During class, I was able to attach the ball links on the sides of the top plate, mount the ride along servos and connect up my rc radio. 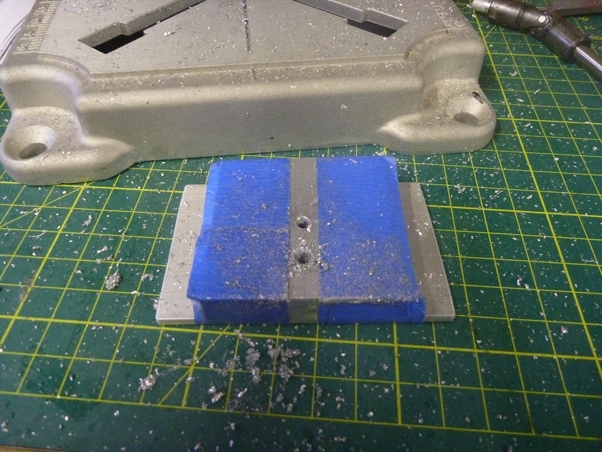 To prevent the ball links from hitting the head mounting plate, I inserted a piece of folded cardboard, which gives just enough clearance, but still allows the use of the head mounting screws. 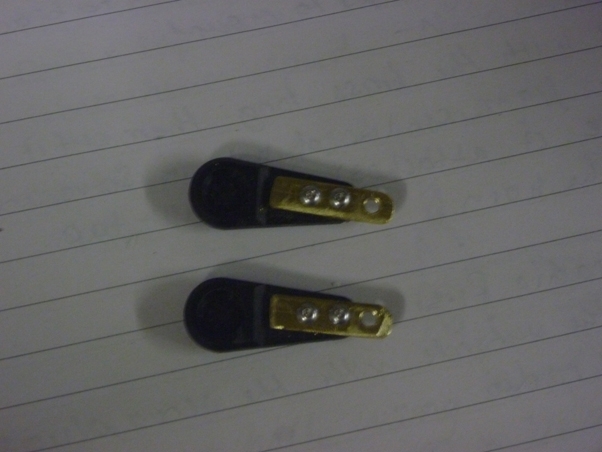 During class, I discovered that the standoffs I had bought from ServoCity were completely the wrong length. They are only 0.5" inch long instead of being 3 inches. 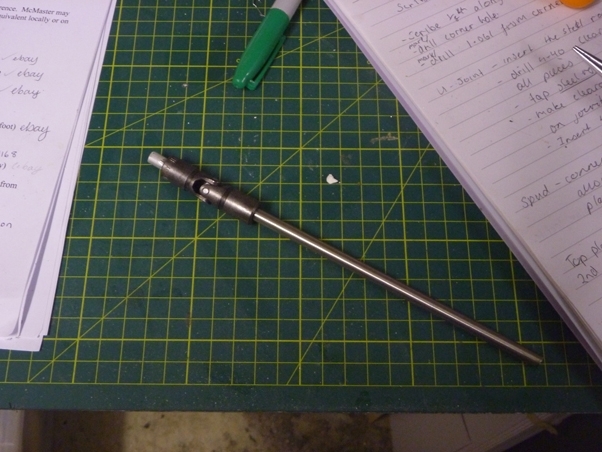 Also, the wide shaft collar for the bottom turn of the shaft was also completely the wrong diameter. I ended up having to make both pieces through 3D design and printing. 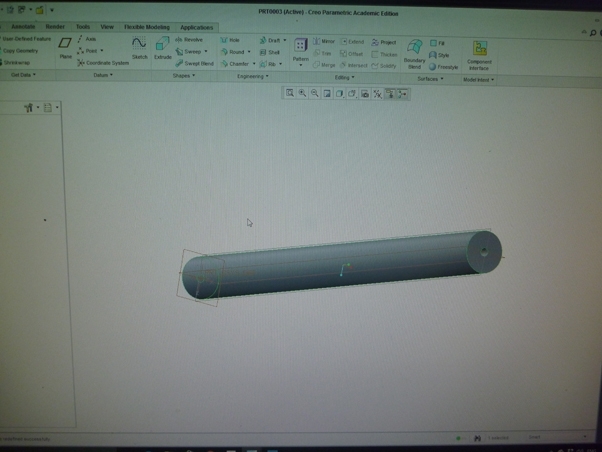 For the standoffs, I designed the whole shaft to be solid to give it strength, and created pilot holes to help keep the drill centered while drilling and tapping the shaft ends. 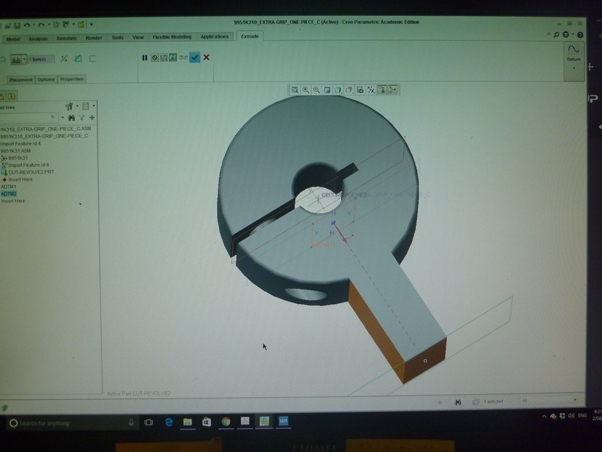 I also used the CAD file available at McMaster Carr to digitally recreate and modify the extra gripping shaft collar. 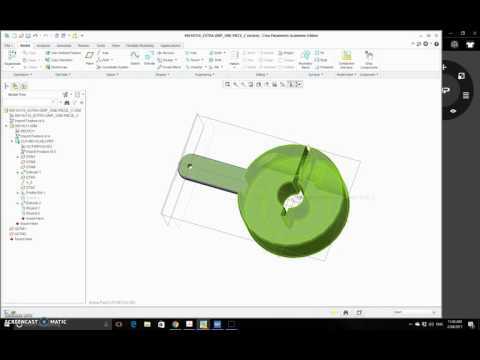 My goal is to embed the brass tab attachment demonstrated in class into the design, so I don't have to tap 2-56 screws into plastic. I added a rib under the tab to give it additional support. Nice! I might have to 3D print the joint. Servocity is out of stock and McMaster is too expensive. I might try the lower collar too. 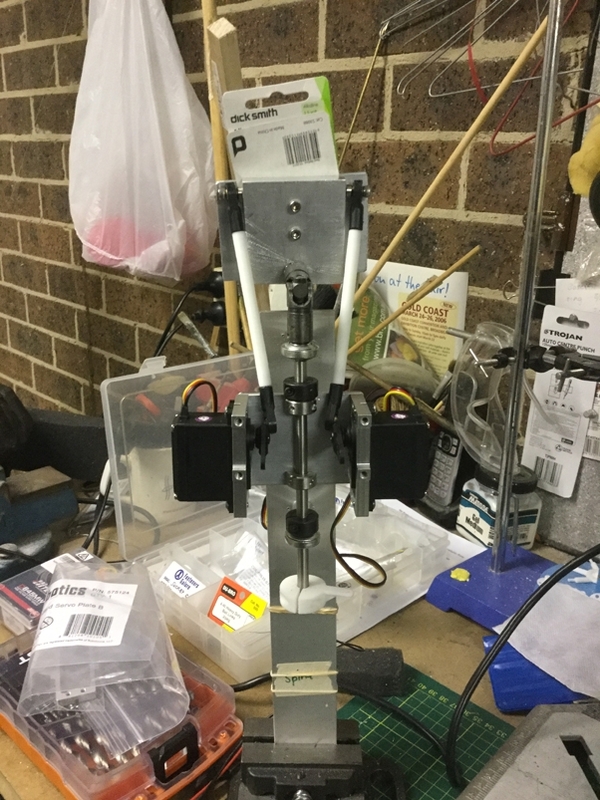 So, since my last post, I have installed the 3D printed standoffs, and made the brass extensions for the servo horns on the ride-along servos. 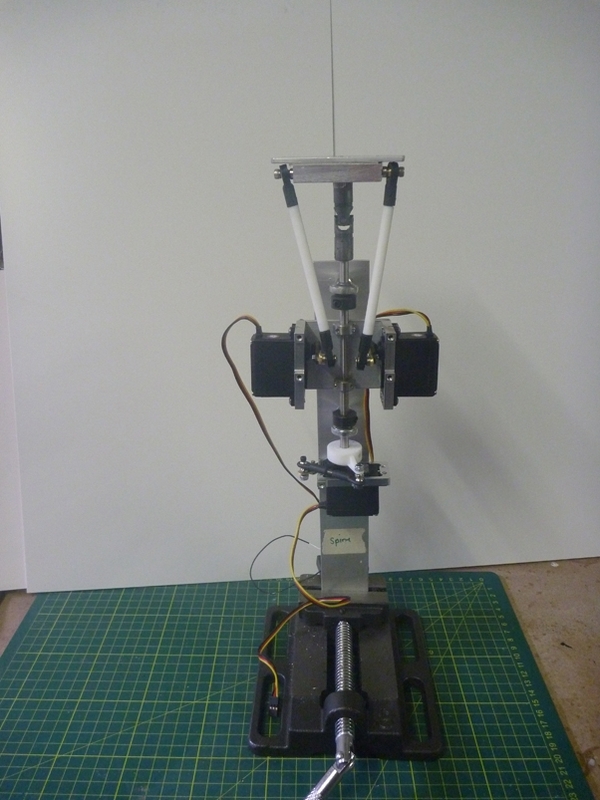 I am experiencing issues with the geometry of the mechanism and the limited movement of the servos. 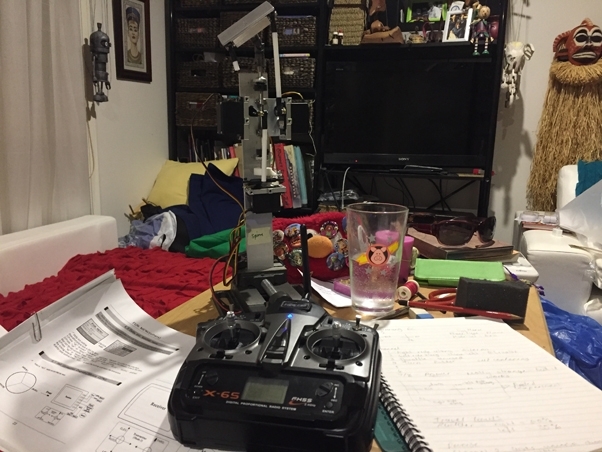 I need to learn how to edit the radio controller's program to improve the range of movement that I am getting from the servos. At the moment, I am just using a program I created two years ago, but it is limiting the range of movement I need. The instructions are not very clear, but I just need time to sit and play with the settings. I'm really worried- I snapped the 4-40 tap in the steel shaft! I can't find anything online on how to remove the broken piece and I am not strong enough to drill the shaft out using my drill, and I don't have access to the drill press at work as we are on school vacation. I wasn't able to get the shaft and U-joint apart in the first place- so I am just going to press on and finish this mechanism. 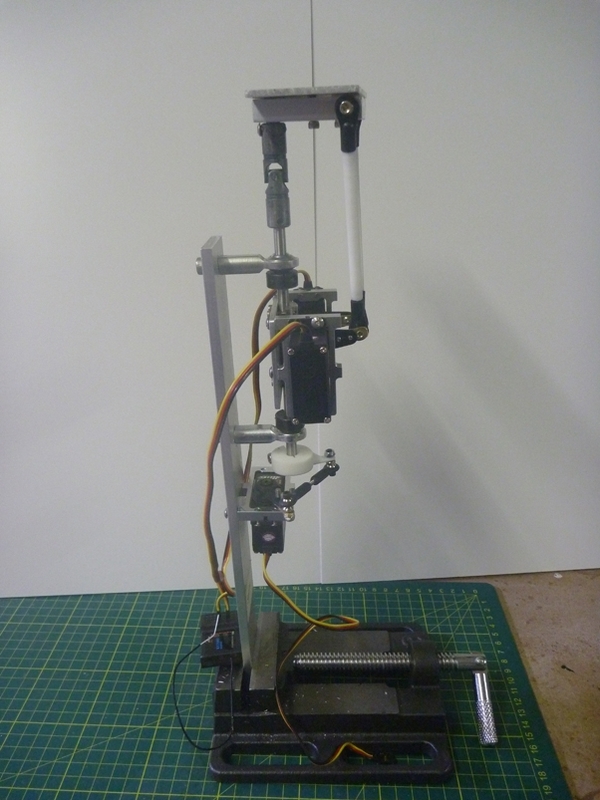 I pushed ahead and finished making the head turn linkage and installing the bottom servo. 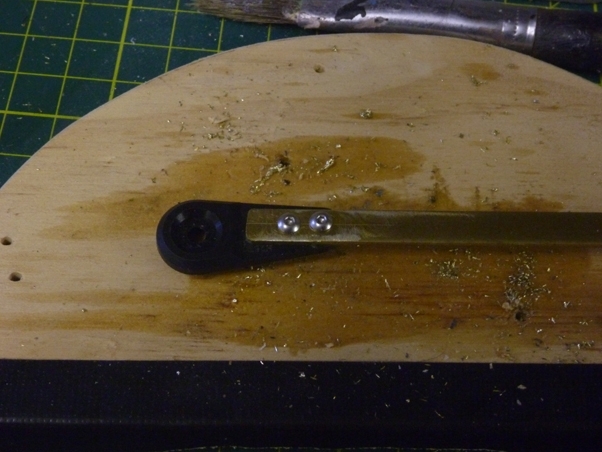 I made a mistake and drilled the servo holes at 6-32 rather than 2-56, but it still worked. 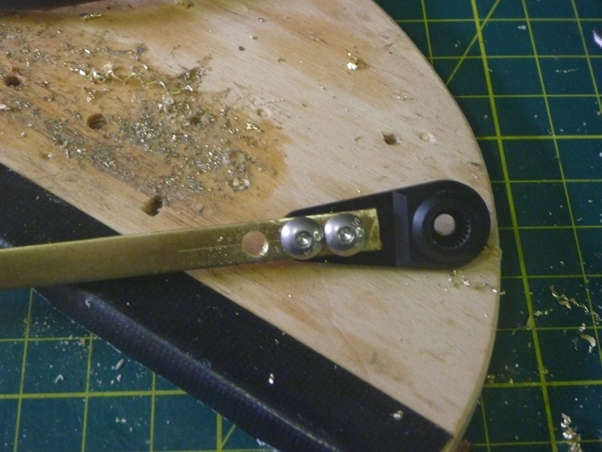 I ended up having to make the brass tab twice because I made another mistake and drilled the 4-40 hole oversized. 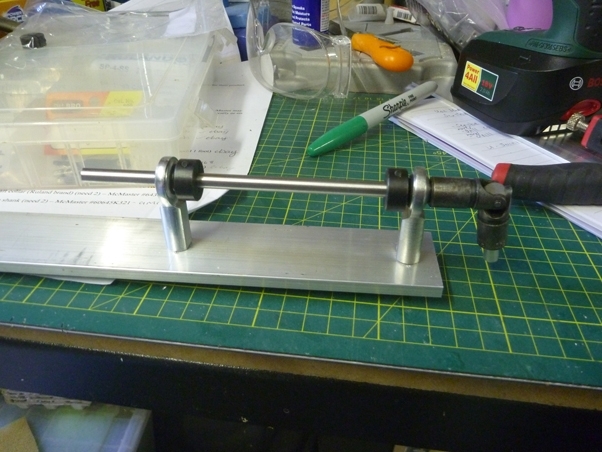 Putting the linkage together was straight forward, however, I wasn't sure what length to make the linkage as it was not described on the video. I started with a 1.5 inch length and cut it down in stages until it was an inch long and looked similar to the linkage on the video. 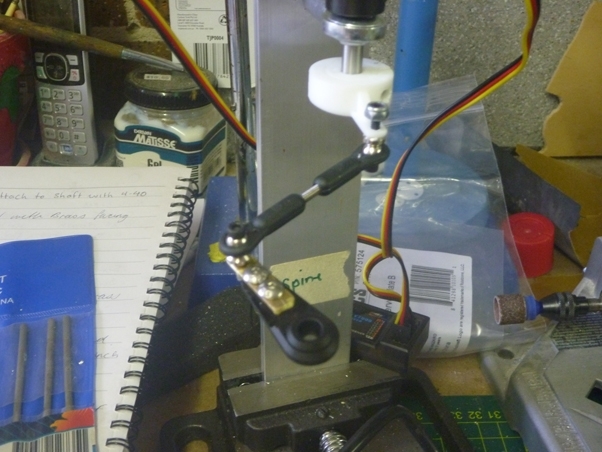 After the difficulty I had drilling through the metal lately, fortunately, installing the servo bracket for the bottom servo was very straight forward. The 3D printed shaft collar is working very well! The only thing I am worried about, is if the plastic cracks where the 4-40 screw inserts into the 3D print. I might re-design that part to make it wider so that the plastic has more meat. I will keep an eye on it as I move to programing the rc controller. 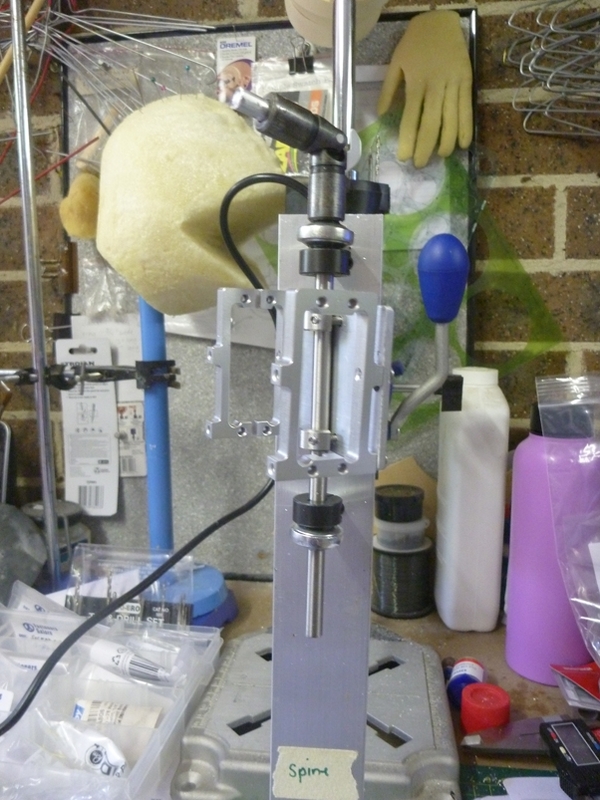 Here is the whole mechanism assembled. 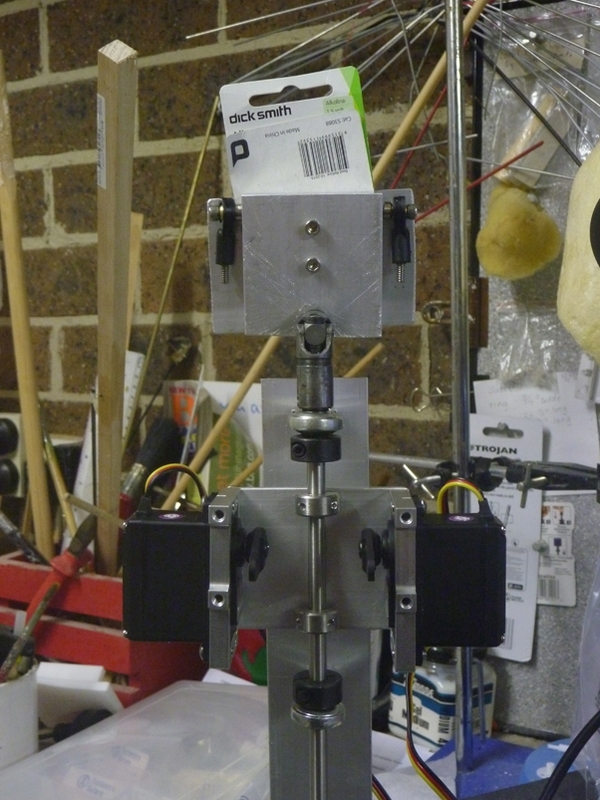 All that is left to do is program the rc controller and attach the head. Very good! Your mechanism looks great. I have to say that I'm getting jealous of all you people with 3D printers. I have managed to program my rc controller! It took about an hour to work through the instruction booklet which was not very clear, but eventually, through trial and error, I managed to program the RC!!!! The secret was to plug the battery into what is labelled as channel 7/8, which freed up channel 1. I put travel limits on the lowest servo so that the servo plate didn't slam into the spine and snap the 3D printed shaft collar. 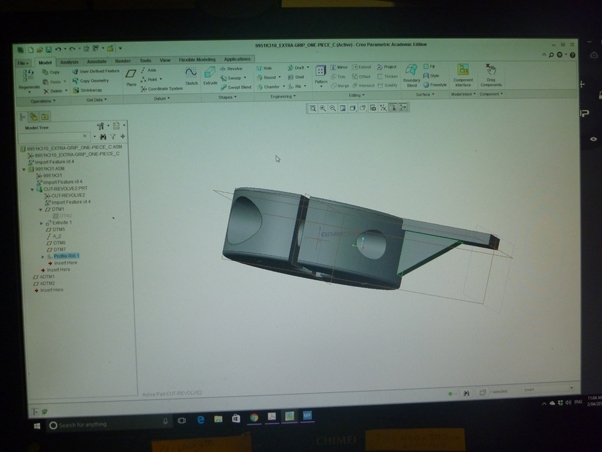 The tab on that shaft collar was bending under the strain, so I edited the 3D file to make the tab thicker. 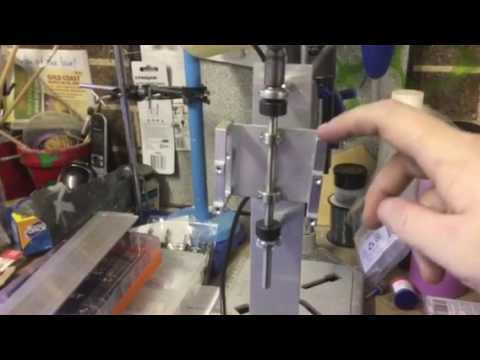 I am having problems with the 3D printed standoffs snapping when the servos are moving. I have tried to re-order the right standoffs but they won't arrive for a few weeks, but the 3D printed ones at least show that the geometry of my mechanism is working! Not sure how to deal with the issue of the foam head wobbling. 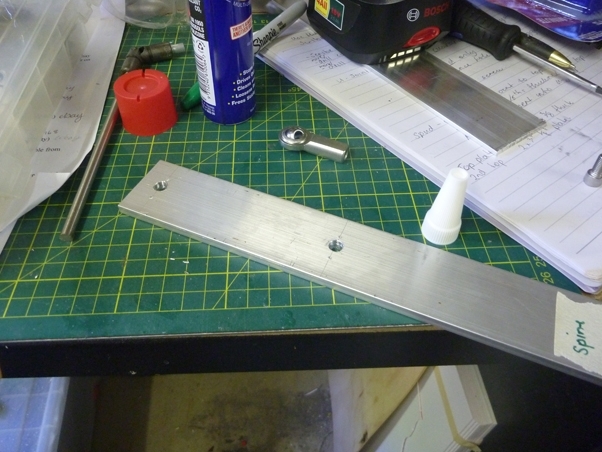 I would probably need to make a much bigger top plate that takes the whole surface of the puppet brain. 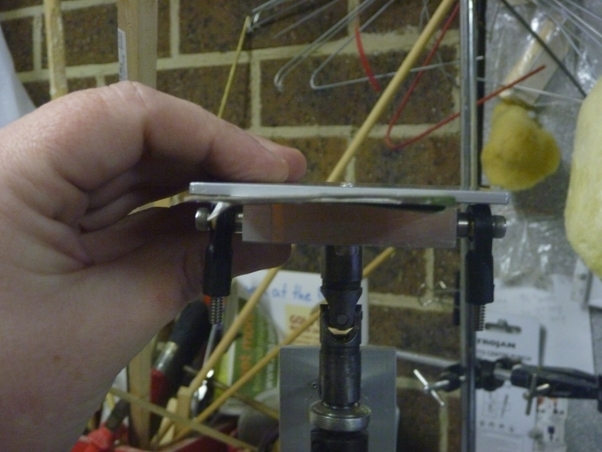 Another solution is to install a third metal plate above the foam brain that sandwiches the foam to reduce the wobble. So, I am done!!!! Woohoo! This has been a very challenging build because I haven't worked in metal before. 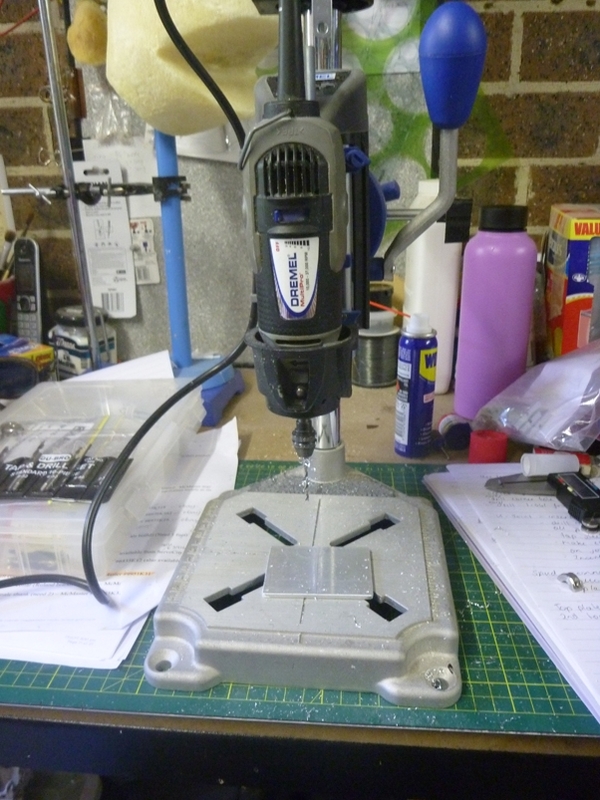 Next time, I will order boxes of drill bits and taps because everything I had was dull, and I will use the drill press at work in the metal shop rather than my weak Dremel drill press. 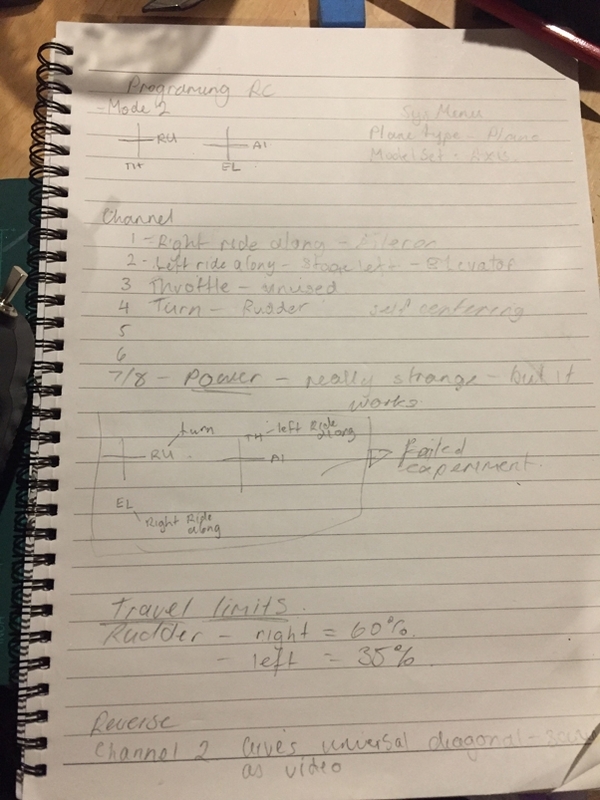 I am super happy that I have a better understanding of my rc controller, so I am looking forward to creating some other rc mechanisms! I can't wait to set the mechanism up in my school library and suprise/ scare my students! Nice Job! 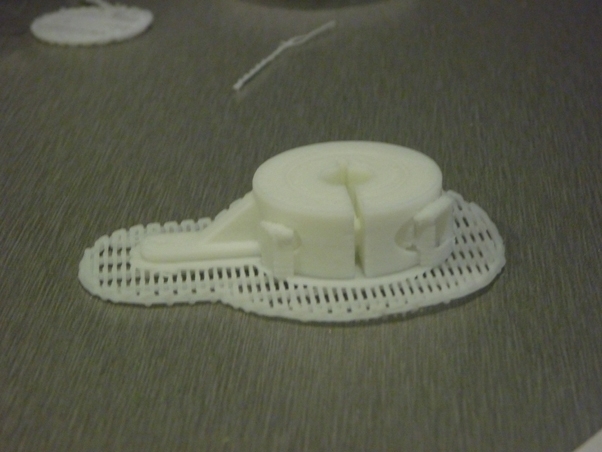 Have you tried printing with Nylon? I use Taulman Nylon for many parts that I want to be rigid. 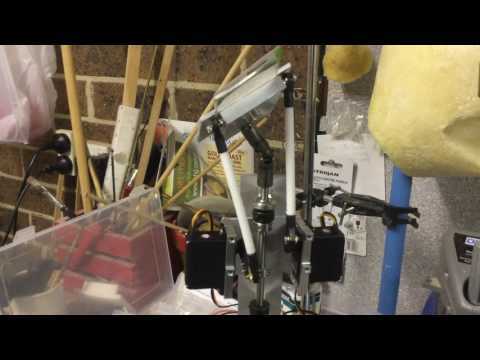 It might hold up better to the servo's torque. It took me some time to find the reverse servo and range limit settings menu on my radio. The menu system is kind of cryptic on the radios. Way to perservere Katherine. My cardboard bat head wobbles a bit too. For not having worked in metal before I applaud you because it looks fantastic. 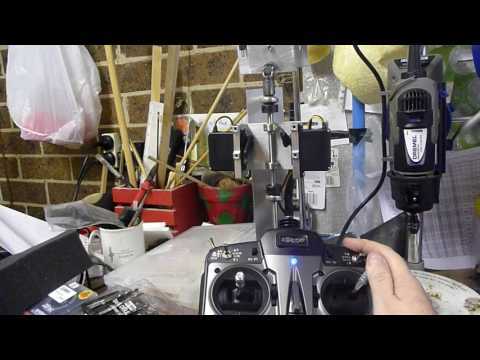 I just used the three small servo testers and appreciate that you documented your troubleshooting when it came to the RC controller programming. 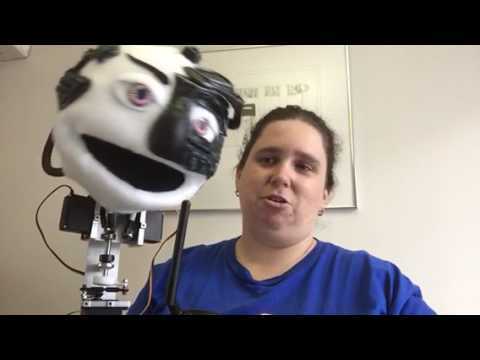 I was too chicken to get an RC controller but the way your puppet's head moves is great. Don't worry about the small rod snapping - you are done!